Matured one year in vats they are vacuum-bottled. 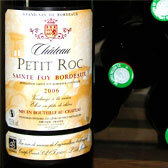 Thus several vintages are to be offered for sale. 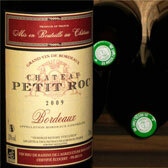 These wines are full-bodied and fleshy with a glistening ruby color and a red fruit flavor. They accompany well meats, sauces and cheeses. Matured one year in oak barrels. 10% of the barrels are renewed each year. These wines are mostly based on Merlot. They are full-bodied and woody with long-lasting spicy hints. Peacock tail final. Appreciated with red meats and game.